Limited initial availability for the competitively priced Rogue Hybrid. 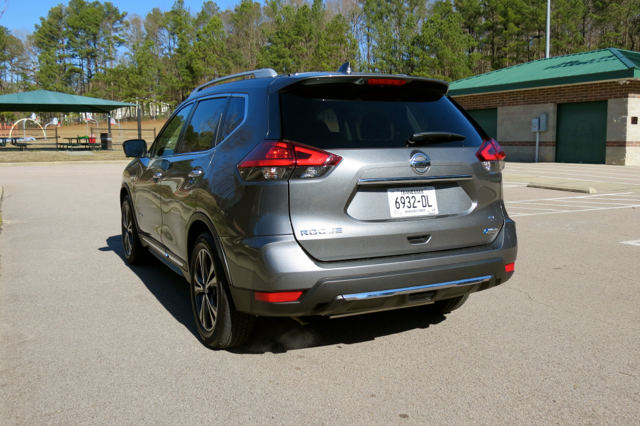 The 2017 Nissan Rogue Hybrid is available in two trims. 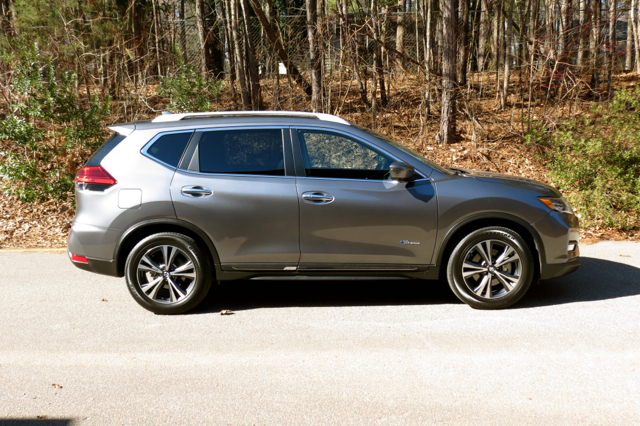 Pay just $26,240 for the 2017 Nissan Rogue Hybrid? That’s only $2,420 more than the starting price for the standard Rogue model. 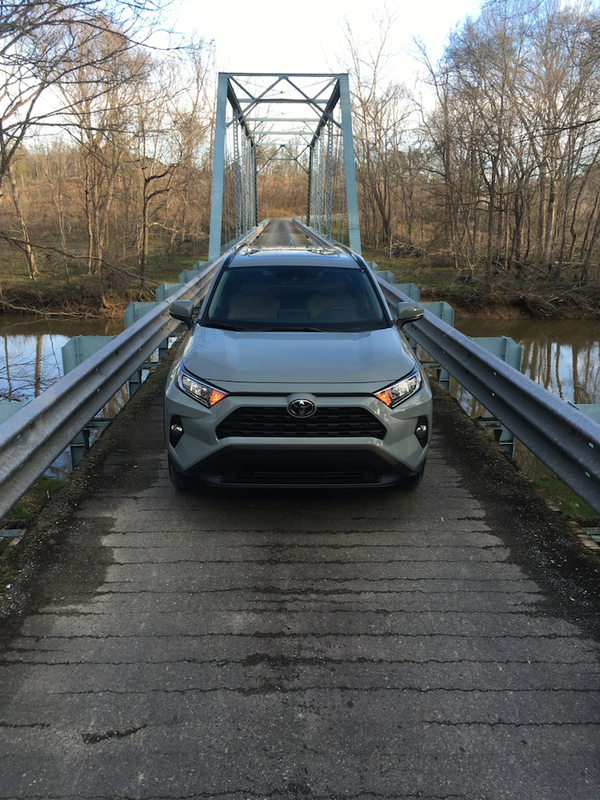 Perhaps more important, the Rogue Hybrid costs $2,790 less than the RAV4 Hybrid, the best-selling compact SUV. Talk about taking it to the segment leader. Nissan is far from being a leader in all things hybrid, having fielded a few models in the past — such as the Altima Hybrid (midsize sedan) and Pathfinder Hybrid (midsize, three-row SUV) — but dropped both after a few years. 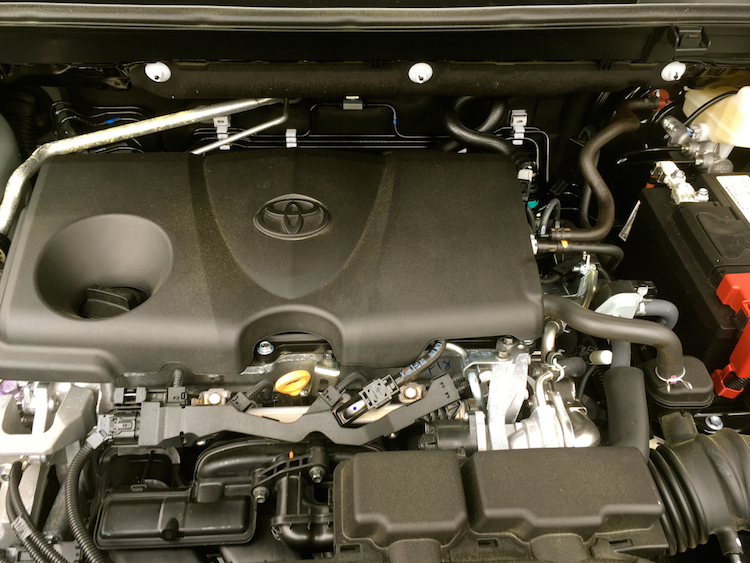 Blame low demand for hybrids and Toyota’s dominance of the market for ending the two. If at first you don’t succeed, then try, try again. That’s the position of automakers who must comply with increasingly tougher fuel economy regulations. By 2025, corporate fleets must average 54.5 mpg, an unattainable number unless customers flock to hybrids and electric vehicles en masse. So far, consumers aren’t buying, but a slight spike in fuel prices could very well have people reconsidering the segment. As for Nissan, pricing the Rogue Hybrid competitively should mitigate some of the pain of paying more for a hybrid, technology that can take years to recoup when fuel prices are as low as they are today. Consumers may consider more efficient models only when gas prices top $3 per gallon. At $4 per gallon, the switch to all types of EVs becomes a stampede. No telling if or when we’ll see ultra-high fuel prices again. The Nissan Rogue arrived late to the market, in 2008 to be precise. That “lateness” had Nissan at a disadvantage, but the automaker has quickly made up for lost time. Indeed, the Rogue is now outsold by only the Honda CR-V and Toyota RAV4, having recently passed the Ford Escape in annual sales, a model introduced seven years earlier. Much credit should be given to the current-generation model, introduced in 2014 and refreshed in 2017. That refresh includes an updated exterior — a new front fascia with integrated fog lamps, bumper, and a new grille — and new LED lights, rear bumper, and rear combination lamps. On the SL trim, stylish new 19-inch aluminum alloy wheels are now available. 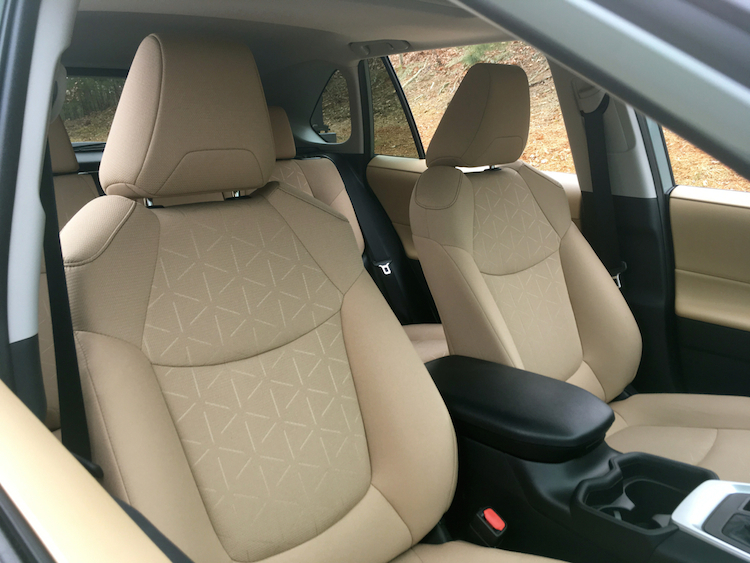 The interior now features a D-shaped steering wheel, an available heated steering wheel, a revised center console, and new fabrics. 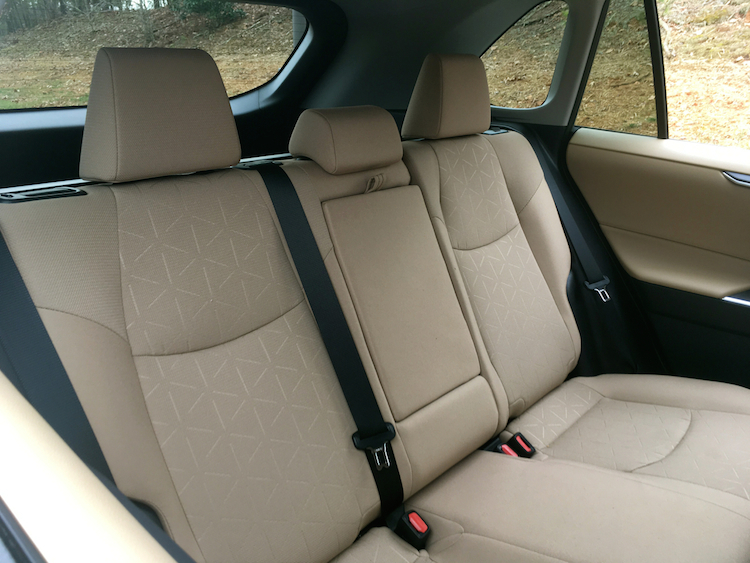 This year, Nissan also added a third-row seat option (not available on the hybrid), increasing passenger carrying capacity from five to seven. Like the standard model, the 2017 Nissan Rogue Hybrid is available in front-wheel drive or all-wheel drive. I already mentioned the $2,420 price difference between the base gasoline model and the base hybrid. But on closer inspection, the Rogue Hybrid SV is just $1,000 more than the equivalent Rogue SV. Choose the all-wheel drive model and you’ll pay just $27,590. The Hybrid SL retails for $31,160 or $32,510 for all-wheel drive. The price difference between hybrid and gasoline models rises by $1,400 here. Add $940 for destination and handling. One important difference between the standard and hybrid models is found in the powertrain used. Gasoline models are powered by a 2.5-liter four-cylinder engine making 170 horsepower and 175 pound-feet of torque. The Rogue Hybrid makes 141 horsepower and 144 pound-feet of torque. As for the electric motor, it contributes 40 horsepower for net 176 system horsepower when the two propulsion systems are running concurrently. Both powertrains include a continuously variable automatic transmission. Fuel economy for the gas model comes in at as high as 26 mpg in the city and 33 mpg on the highway. Choose the hybrid and it is rated as high as 33 mpg in the city and 35 mpg on the highway. Combined, the hybrid offers a 5 mpg advantage over the gas model. There are a few differences between gasoline and hybrid models that go beyond trim and badging. First, the hybrid models add an HEV gauge to the instrument panel. 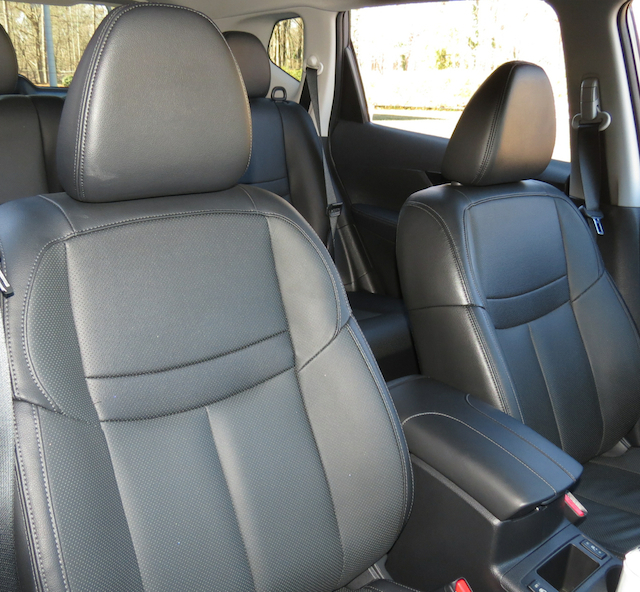 Second, where the standard model offers a 40-20-40 split-folding rear seat, the hybrid has a 60-40 rear bench seat. 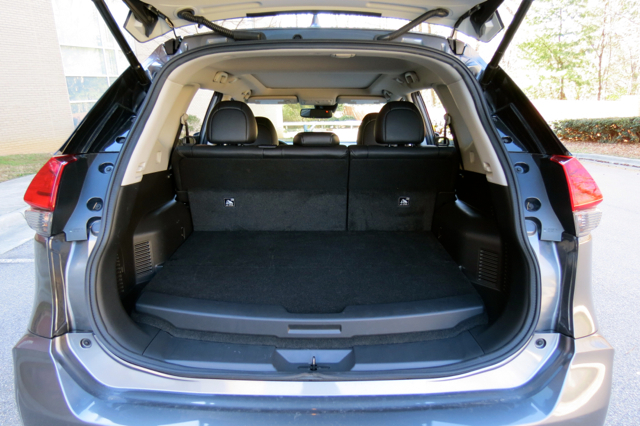 Third, the hybrid adds storage space under the rear cargo area. Fourth, you’ll also find a so-called “vehicle sound generator” or warning system when operating the vehicle in reverse. No, it doesn’t beep like a commercial vehicle, but it does represent an unmistakable warning signal nonetheless. 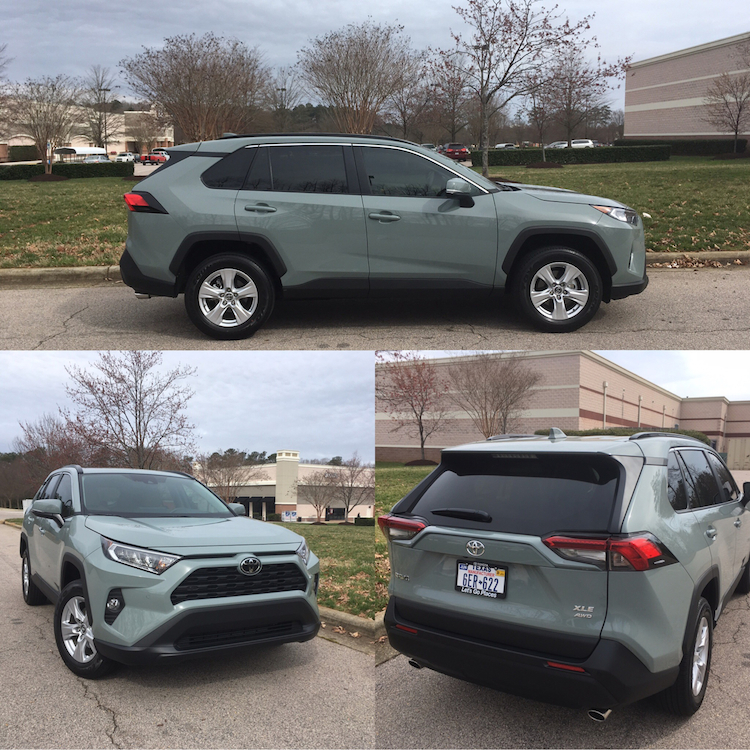 All models are equipped with aluminum-alloy wheels set within all-season tires, electric power-assist steering, hill start assist, and a liftgate spoiler. 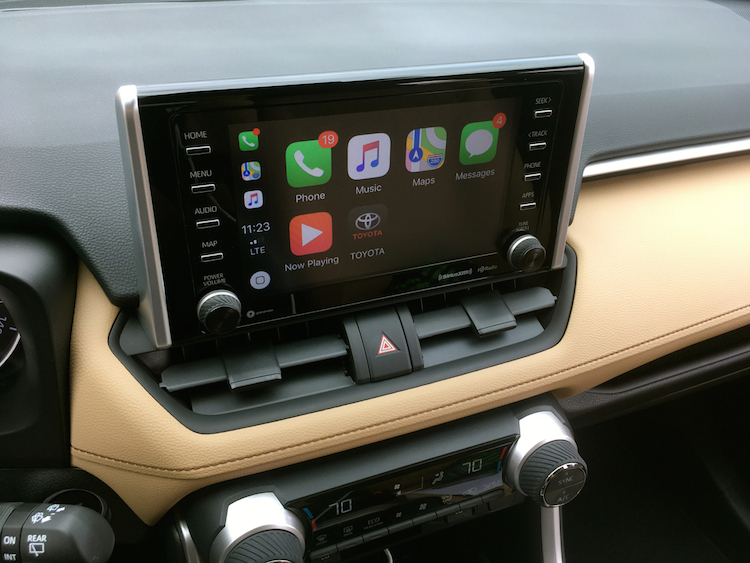 You’ll also find an audio system with an auxiliary jack and USB port, satellite radio, Bluetooth full power accessories, LED map lights, and a rearview monitor. 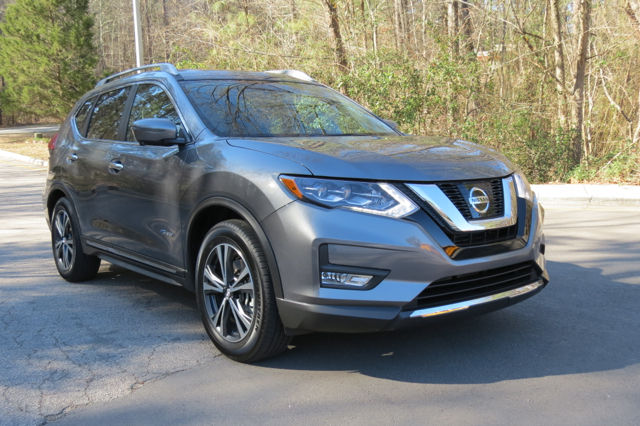 Also available is push-button start, a nine-speaker Bose audio system, NissanConnect services, leather seats, and a power driver’s seat with lumbar support. Factory-installed options include a Limited Edition Star Wars package ($1,990), an SL Hybrid Premium package ($2,020), and an SV Hybrid Premium package ($2,870). 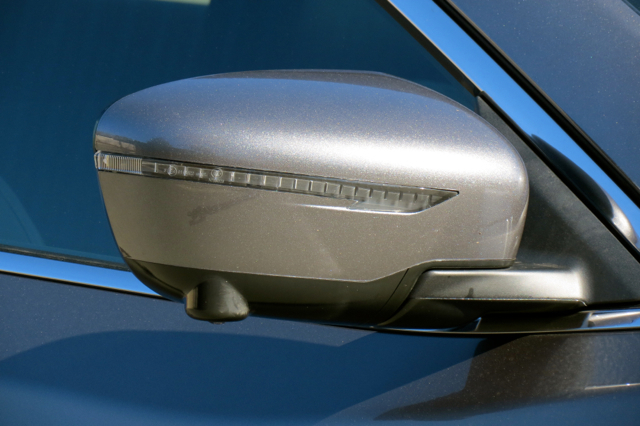 Individual accessories installed at port-of-entry or your Nissan dealer include splash guards, roof rail crossbars, a retractable cargo cover, and heated blind zone mirrors. 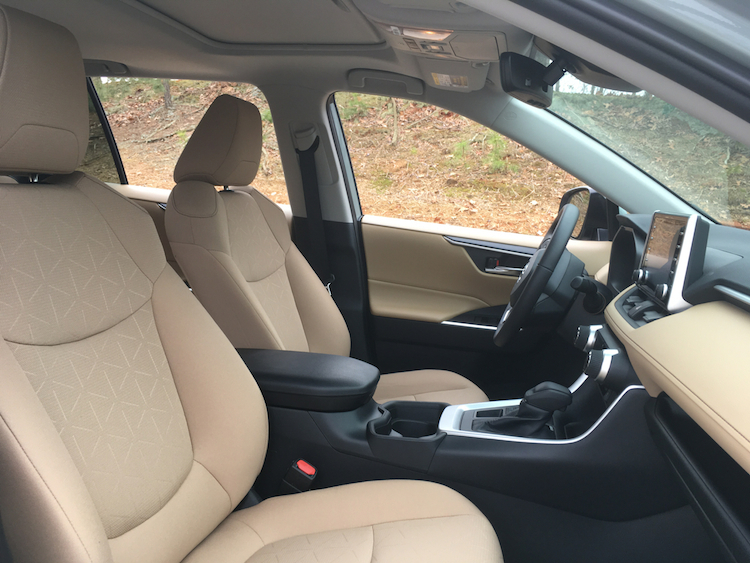 I’ve driven both the gasoline and hybrid versions of the Rogue and found the cabin roomy, the seats comfortable, and the driver controls sensibly placed. There are no surprises between gas and hybrid models — the combined power of a gasoline engine and an electric motor match the performance of the standard model. The Rogue Hybrid starts in electric mode and stays there until you press hard on the accelerator. Immediately, the gas engine takes over. On the highway, full passing power is realized when the engine and motor work simultaneously to deliver maximum performance. This combination delivers all the power you need to pass that rig or move down the entrance ramp with authority. Steering is light to the touch, not especially weighty, but it isn’t disengaged either. The brakes aren’t as spongy as some hybrid models, what also delivers kinetic energy to the lithium-ion batteries located beneath the storage compartment floor. 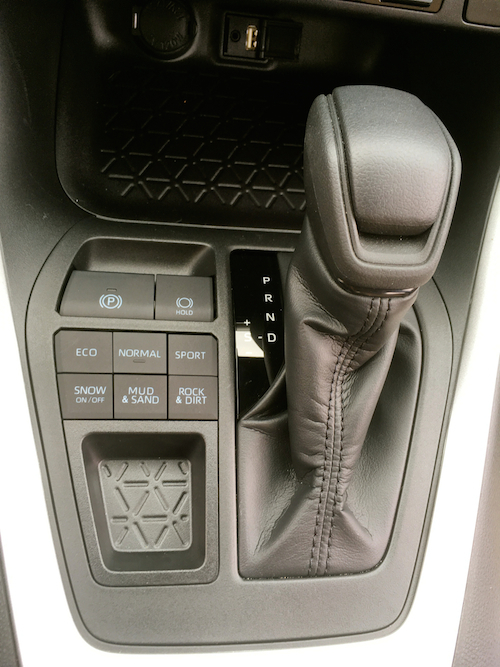 A start/stop system is also present, shutting the hybrid down when idle, but immediately restarts it as soon as you lift your foot off the brake. Although this model is certainly tilted to efficiency, there is no performance penalty when an extra kick is needed — and that’s a good thing. 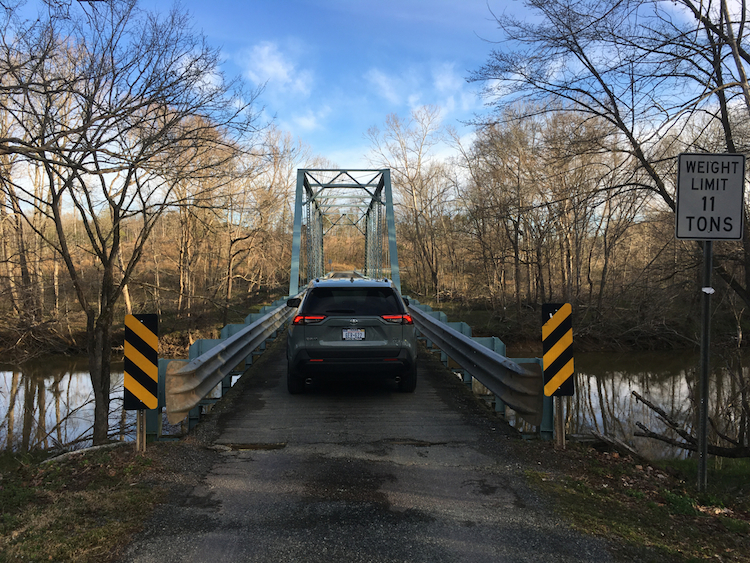 If you’ve considered a hybrid before and the price was an issue, the Rogue Hybrid does everything to allay those fears. 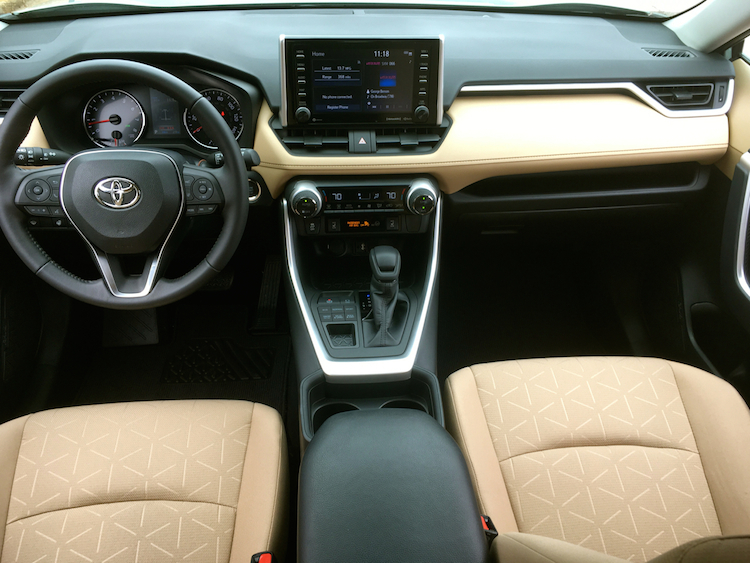 When comparing trim to trim, you’re paying just $1,000 or $1,400 more for the hybrid, a recoupable cost. For example, if you drive 15,000 miles per year and reach the 33 mpg average with the hybrid, then you’ll expend 454.54 gallons of fuel annually. At $2.25 per gallon, you’ll pay $1,003 per year for gasoline. Go with the gasoline model averaging 28 mpg and you’ll expend 535.71 gallons of fuel annually. At $2.25 per gallon, you’ll pay $1,205 per year. That’s a difference of $202 per year or $1,010 for five years — representing the break-even point for the SV Hybrid. For the SL Hybrid, it’ll take nearly seven years to make up the $1,400 price premium. Both are within the reach of people who intend to keep their cars for eight to 10 years or longer. 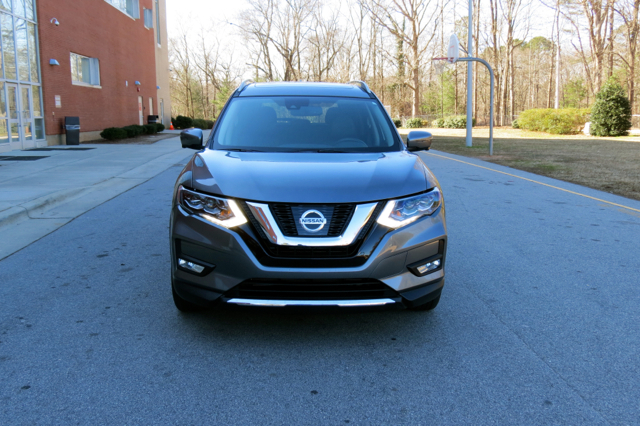 All in all, the Nissan Rogue Hybrid has what it takes to compete — that means it is better positioned than the earlier Nissan hybrids to make a go of it. This also means that the Rogue Hybrid is likely here to stay.